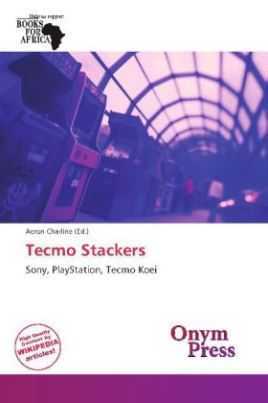 Tecmo Stackers is a puzzle video game for the Sony PlayStation, released by Tecmo in 1995. Its gameplay is similar to Puyo Puyo.Players try to connect sets of four blocks so that their colors match, causing the blocks to be removed. Remaining blocks may then fall and complete other sets of four blocks. The main difference between Tecmo Stackers and Puyo Pop is that blocks in Tecmo Stackers stretch in various directions after adjacent blocks are removed, and the "arms" they send out can complete sets of blocks and be removed; this allows for longer chain reactions.